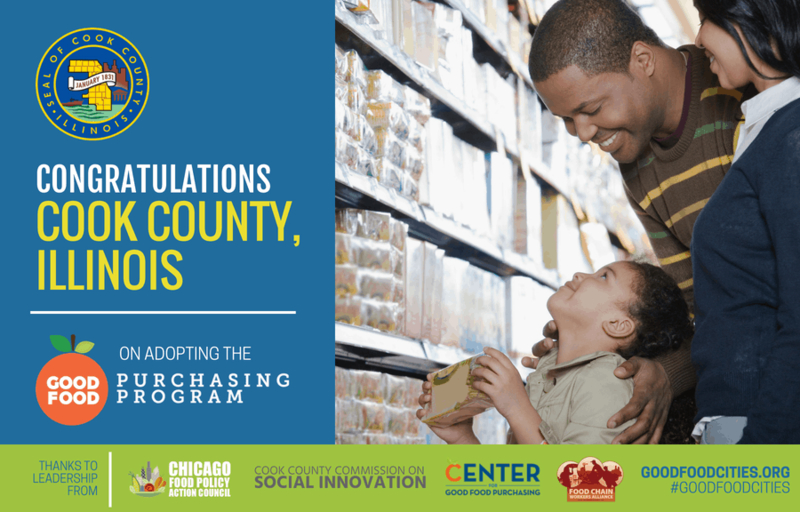 On May 16th, Commissioners in Cook County, Illinois — the nation’s second largest county –adopted the Good Food Purchasing Program (GFPP). This win in Cook County comes on the heels of last year’s adoption of the program by the Chicago Public Schools (June), Chicago Parks Department (September), and the City of Chicago (October). Together, these institutions are directing nearly $325 million annually toward purchasing food that supports GFPP’s core values. A grassroots coalition led by the Chicago Food Policy Action Council, Urban Growers Collective, Little Village Environmental Justice Organization, Grow Greater Englewood, Food Chain Workers Alliance, and others made this string of successes possible and ensured that GFPP was adapted to the needs and priorities of the local community. Farms growing organically and using bio-intensive methods. The Good Food Purchasing Program has already delivered a series of positive impacts—chief among them are job improvements for local food workers. Passage has been critical to ensuring fair wages and working conditions as well as protecting workers’ rights in participating supply chains, while also increasing nutritious food to students, strengthening the local economy, reducing environmental impacts of food production, and supporting the humane treatment of animals. With more grassroots coalitions working to expand GFPP in Buffalo, Cincinnati, Denver, New York City, Northwest Arkansas, Washington, DC, and the Twin Cities, we anticipate more wins to come! Christina Spach is the National Good Food Purchasing Campaign Coordinator at HEAL member organization the Food Chain Workers Alliance. Her work is based on a continued commitment to support social and worker justice efforts grounded in grassroots solutions.